For years, many have believed that the rails of Florida's largest early 20th century streetcar system were removed and scrapped decades ago. A recent discovery of intact Main Street Railway streetcar tracks, suggests Jacksonville simply paved over parts of the system. The beginning of the Main Street Railway at Bay and Main Streets during the rebuilding of the city after the Great Fire of 1901. Courtesy of the State Archives of Florida. In Jacksonville’s early years of transitioning into a major city, streetcars were used as inducements by developers seeking to link their subdivisions with the core of the city. The streetcar line on Main Street was no exception. Its predecessor was a narrow gauge streetcar line initially known as the Pine Street Railway Company. Chartered by B. Upton in 1882, it started at Bay Street in downtown and terminated at present day 8th Street in Springfield. In 1884, the line was leased to G.A. Backenstone, who developed a restaurant, dance hall and skating rink served by the fledging street railway. Soon, viewing the streetcar as a development tool, the railway was absorbed by S.B. Hubbard and Associates, the developers of Springfield. 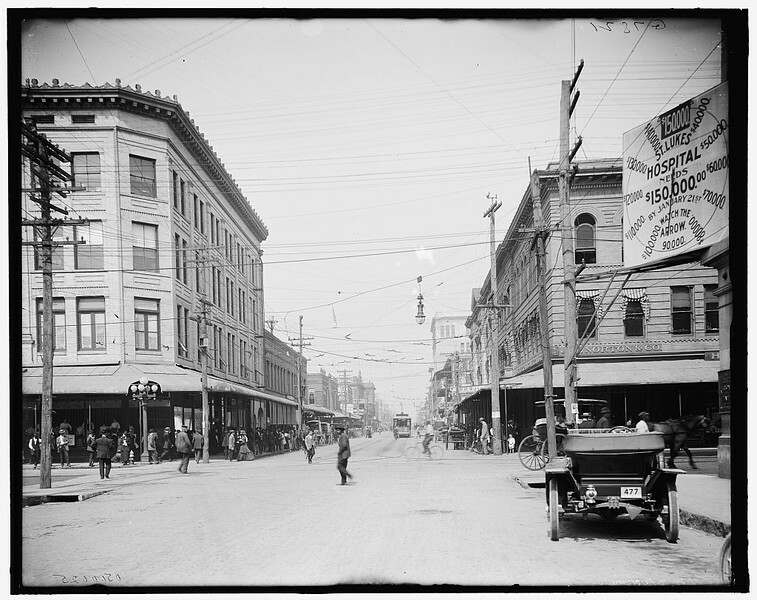 When Pine Street was renamed Main, the streetcar line was rebranded as the Main Street Railway. 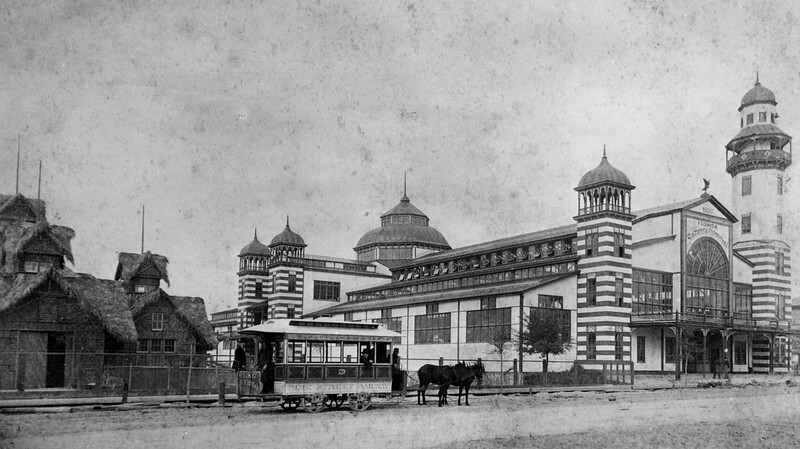 The Sub-Tropical Exposition and mule-powered Main Street Railway at Main and Phelps. Courtesy of the State Archives of Florida. In 1887, the Sub-Tropical Exposition was built along the streetcar line at First and Main Streets, in an effort to lure tourist to Florida. Towering 100 feet about Main Street and topped by towers and minarets, the enormous hall opened its doors to the public on January 12, 1888. While the attraction, which included an electrically-lit fountain and pond containing rare fish, a Seminole Indian camp, displays of Florida products and zoo, proved to be popular, it was no match for the city’s Yellow Fever epidemic of 1889. After its closure, it was demolished and replaced with a water reservoir that continues to occupy the site today.